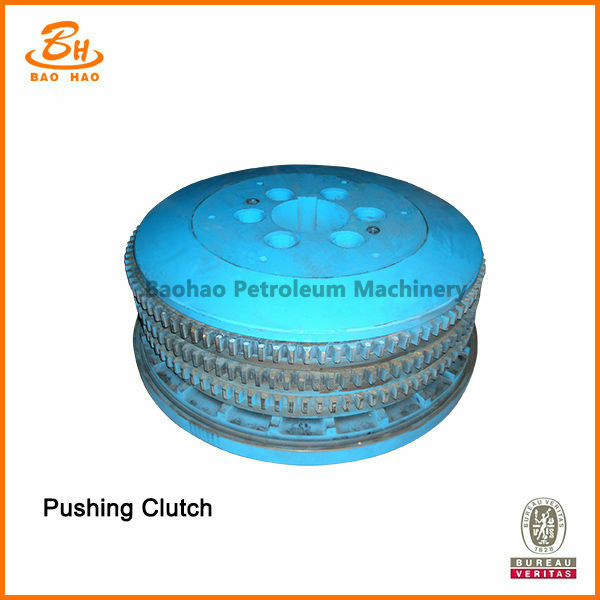 Pneumatic push-type clutch can be applied to various working conditions for steady output of power, especially the steady and controllable start under great inertia. Besides, it possesses the outstanding characteristics of quick response, little influence by centrifugal force, difficulty for self-joint, no lubrication and no pollution to the environment. The friction area of such clutch is large, and the variable designs of 1, 2, 3 or 4 central gear disk(s) can better meet the demands of various torques. 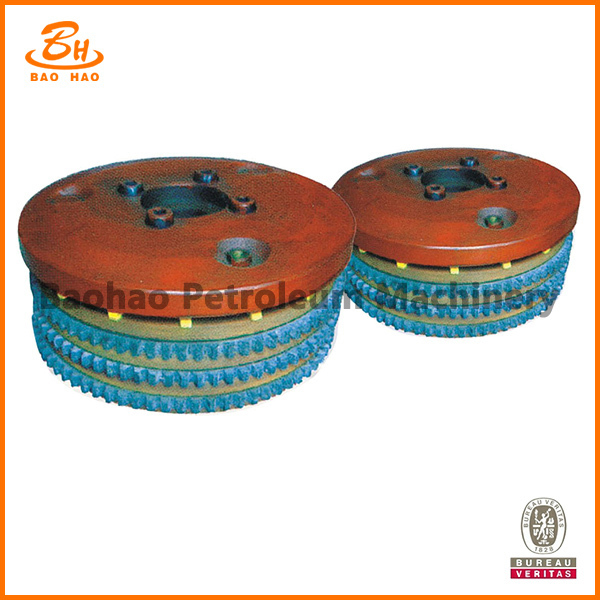 Looking for ideal Drilling Rig Parts Pushing Disc Clutch Manufacturer & supplier ? We have a wide selection at great prices to help you get creative. All the Pushing Disc Clutch are quality guaranteed. 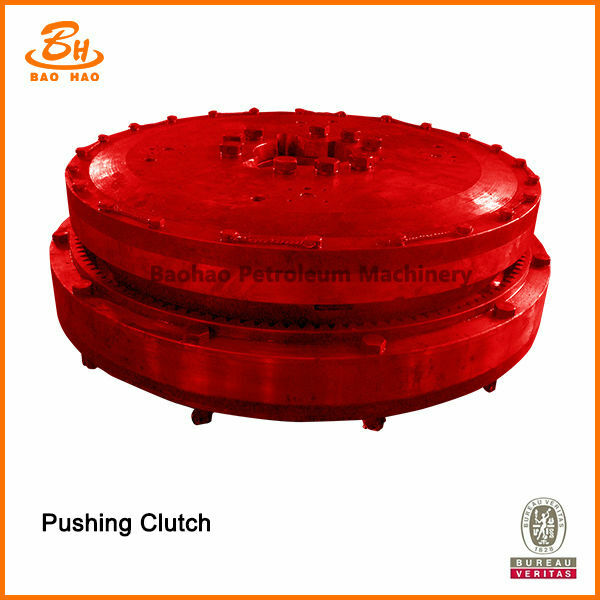 We are China Origin Factory of Pushing Disc Clutch Assembly For Oilfield Drilling Rig. If you have any question, please feel free to contact us.